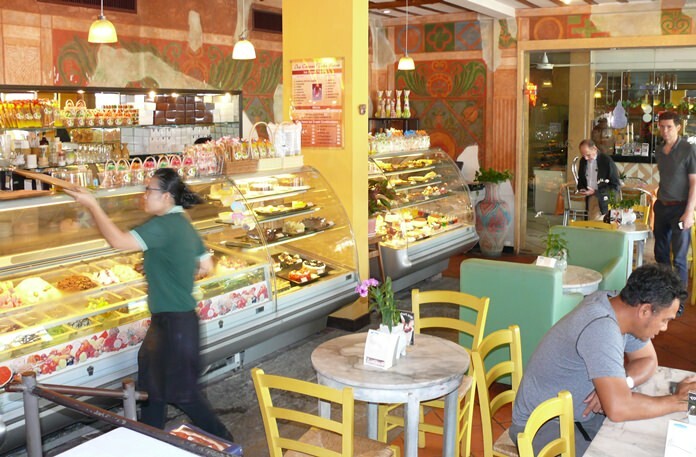 Italian food and Luciano are synonymous in Pattaya. 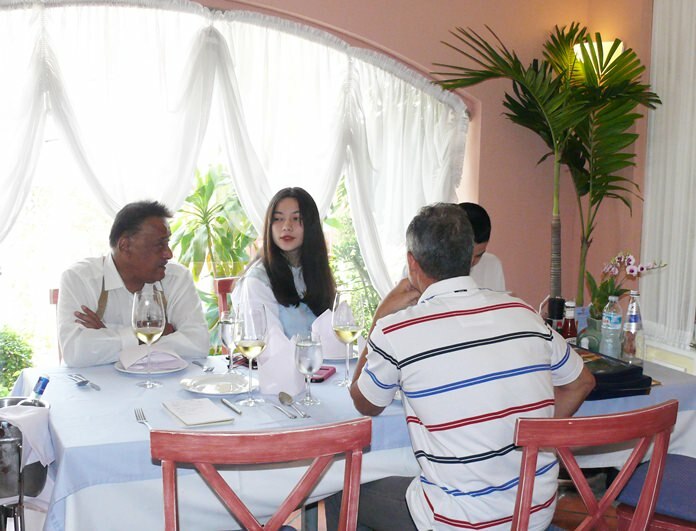 Luciano is the owner of the Pan Pan restaurants, and we had lunch with him at the Thappraya Road branch, the venue for his South Pattaya Pan Pan for the past 27 years. However, Luciano’s love of Italian food goes back further than that as he had a small kiosk style eatery in Bangkok in the Asoke area. The Pan Pan at Thappraya (corner of Thappraya and Thepprasit roads) has parking street-side plus more parking round the back of the restaurant. The building has entrances in front and in the rear. Pan Pan is more of a family trattoria style than upmarket restaurant. Seating is ample and arranged such that you can have an intimate dinner for two, all the way through to a board meeting of 12 or more. The Italian ambience comes from the terracotta tiled floor and the curtain drapes over the windows. This keeps the restaurant looking bright and breezy. Chairs are a salmon color and the tablecloths are pale blue and the napery of a good standard. While perusing the menu we drank a Freschello white. This is not at all heavy and we found it excellent as a lunchtime wine. Freschello vineyards are located in Veneto, where the tradition for light and easy fresh wines dates back to the Venice Republic. This wine is made from a blend of Garganega / Trebbiano grapes. The menu commences with 15 very Italian starters (B. 100-400) like a salmon carpaccio at the top end and down to a mixed salad for B. 100. The next page gives the diner 12 choices of ham, salads and sandwiches with most B. 300-400. These are followed by two pages of Pasta and soups (B. 240-400) and then some grills, including a 250 gm aged rib-eye and my favorite Scaloppine al limone. Naturally there are many choices in the pizza from the Margherita (B. 240) up to the 4 cheese pizza with mozzarella, gorgonzola, camembert and fontina. 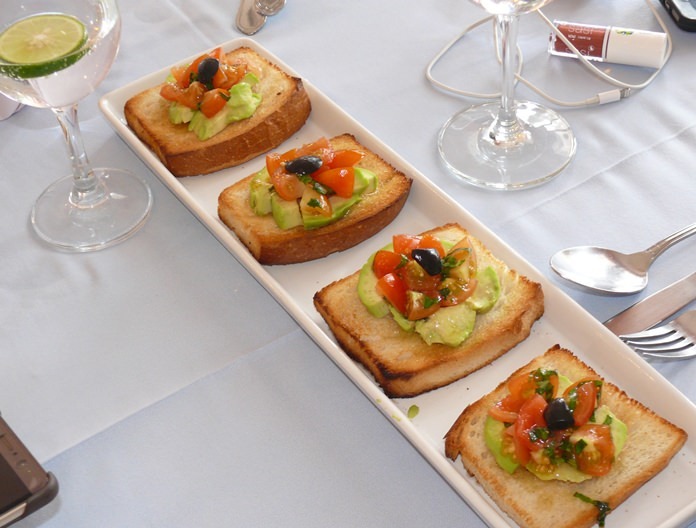 We began with Bruschetta (garlic bread with tomato, avocado and basil); however, I have never been able to eat this dish without wearing it. Our lunchtime review was no different, and fortunately avocado washes out. Next up was a Lasagna, and a Margherita pizza. Both came sizzling hot from the kitchen and were most enjoyable. Did we enjoy our lunch with Luciano? Yes we did. Italian food can be as light as you like or heavy and hearty as you want, just take your time and read the items in the very large menu. 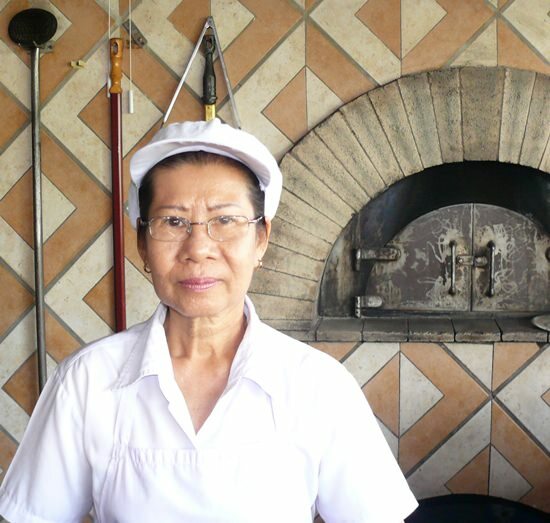 Luciano is a great host, and the very helpful staff at Pan Pan can give you guidance if you are unsure. I have always liked Pan Pan’s pizzas and the Margherita was excellent. Now here is some exciting Italian news. For the dwellers on the north side, there will be another of Luciano’s outlets in the soon to be opened Terminal 21, which will be concentrating on Pizza Romana as quick comfort food. This is similar to his joint venture with La Pala in Bangkok. The pizza is in rectangles rather than traditional triangular slices and will be inexpensive, says Luciano. Pan Pan 1, Thappraya Road (just up from the Thepprasit T junction), telephone 038 251 874. With the popularity of this restaurant it is probably best to book in the evenings. Secure parking outside and at the rear of the building. Open every day 10 a.m. until 11 p.m. open seven days.